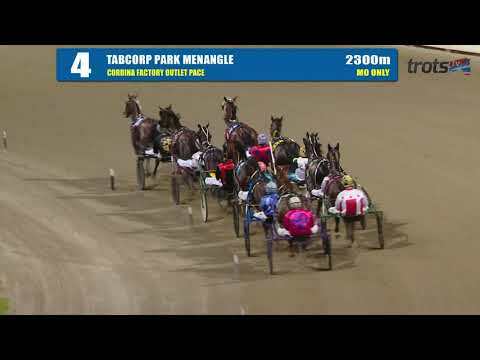 Star harness racing four-year-old Chase Auckland was back in winning form at Tabcorp Park Menangle on Saturday night. Driven by Luke McCarthy, Chase Auckland went back early then whipped around to the front after half a lap before quickening over the last 800m in a slick 54.3 seconds to win easily defeating a brave Franco Landry by 2.7metres. Chase Auckland has now had 11 starts for 9 wins, a second and a fourth with $405,329 in the bank. Chase was back to his old habits on Saturday night of jumping around and not standing still after his win which is a good sign he is feeling well. "He only did what he had to and it was an easy win. I didn't have to ask him for a serious effort," said driver Luke McCarthy. Poi from All Stars who has been looking after Chase from Luke McCarthy's property, was also thrilled with how Chase went. "He has come on a lot during the week leading up to the race and he will only get better after this run," said Poi. Chase Auckland will now race in the $50,000 Paleface Adios race next Saturday in an attempt to qualify for the $200,000 Chariots of Fire the following week. The Auckland Reactor gelding has copped the best draw of the All Stars trio for the Gr2 Paleface Adios Stakes over 1609m at Menangle coming up with barrier (2). Stablemates Spankem (11) and All You Need Is Faith (9) were not so lucky with both drawing wide on the track with Tasmanian speedster Ignatius splitting them in barrier (10). The top four home in the Paleface Adios will qualify for the $200,000 Group 1 Cordina Chicken Farms Chariots Of Fire on February 16.